At last count there were MORE THAN 50 fifty different brands selling baby travel systems – many of them with 3 or more different options. That adds up to a LOT of choice. And they’re expensive. Very expensive. But they really are worth the money if you get the right one. We made up a silly story to illustrate the point: Meet Mr and Mrs Whitt. They love being outdoors, and this day is no exception. The sun was shining brilliantly, and no clouds held possible downcast weather. With only a light breeze outside they decided it was a perfect day to spend on the beach and go for walks. As they were packing their morning snacks and getting into the mood to enjoy the lovely weather they heard a soft giggle. O! Immediately they unpacked everything and went to sit in front of the TV; the beautiful weather all forgotten. Have a look at ALL of our in-depth & Famous Baby Guides. Mr and Mrs Whitt totally forgot they made a mistake. They only bought a carrycot instead of a travel system. The result was that poor Whitt Junior who was almost one year old (and weighed quite a lot) had no pushchair. Carrying their one-year-old when they go out walking became a hassle. They decided to give up their outdoor ambitions and wait till Whitt Junior can walk. Every day Mr and Mrs Whitt wished they made the right choice the first time around; before spending money on a single item that doesn’t suit their outdoor lifestyle. Don’t be a Mr and Mrs Whitt; get it right from the beginning! Choosing a Travel System may be overwhelming when doing it the first time. It shouldn’t be, and it won’t be with our ‘How To Choose Travel Systems’ guide. Explaining from the basic up to the advanced options this guide will assist you in selecting the best proper baby gear for your family’s lifestyle. As a parent or guardian; save time and money by choosing the right travel system the first time. Understand what you’re looking at, what’s included and which one will be perfect for your baby. #01. Family comes first – Determine your family’s lifestyle and needs. #02. How knowing the difference makes a difference – A detailed explanation of various travel systems in only four steps. #03. How To Understand Baby Travel Systems – Know how to compile the perfect travel system for your little one. #04. Read The Reviews – Instantly get an idea on what brands, products and types of travel systems your fellow parent are favoring! When it comes to family, time is valuable. 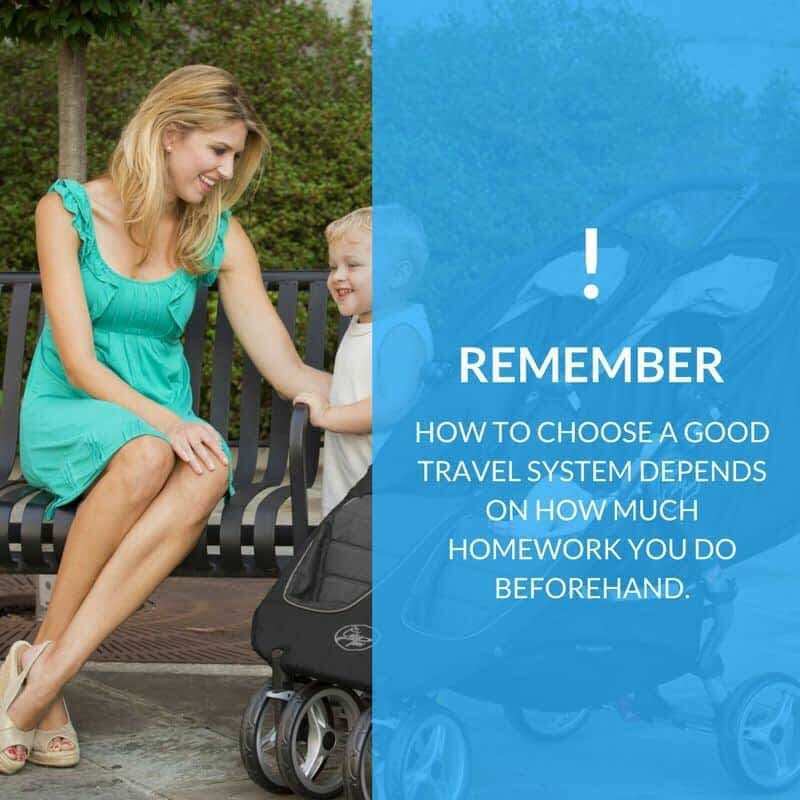 Read the How To Choose Travel Systems For Babies guide and get it right the first time around! Why can’t there be one primary baby travel system that has it all? It will make the choosing process a lot easier! But, each family has individual requirements unique to their lifestyle. It is these individual necessities that result in the broad range of baby gear products. One of the first questions you should ask before purchasing is: what are my family’s needs? Consider your lifestyle, routine and preferences. Do you prefer spending time outdoors or indoors: this will influence the resilience of your travel system. Do you have twins and would you like them to move together in one pushchair or separately? What is your budget? The options vary in price but can be either expensive or inexpensive. Before making a choice in which baby travel system you are going to invest in, consider your family’s lifestyle. Save even more time when reading our latest reviews on varies baby brands and their baby equipment. Don’t let any hassle in moving your little one get in the way of still spending quality time together. #02. How Knowing the Difference Makes a Difference! Think of a travel system as the overarching term for all your moving baby equipment. A travel system consists out of different parts: Stroller; Car Seat; and a Carrycot. Let’s start at the bottom! Comfortably move your baby around by using a carrycot. Babies up to 6 months old need a carrycot that allows them to lie flat as well as sitting upright. If you move by car, a car seat for your infant is compulsory! Car seats are by law necessary; each state has their specifications depending on the toddlers’ age and height. Divided into age groups, you can quickly determine which functions and necessities your car seat needs. The three core age ranges are: from birth; from around 9-12. Make an informed decision by understanding the stroller’s varies types; their benefits; and which one fits your family’s needs the best. It is all in the name. A slightly bigger than the lightweight is the Standard-size including the frame and carry on. The Car Seat Frame allows you to quickly remove the car seat and attach it to the pushchair. If you want basic, then the lightweight is your answer. Made for rougher terrain is the Jogging stroller. And if you expect a twin, the double will be your go-to option. When you combine your carrycot or car seat and stroller you have a travel system! Read the ‘How To Understand Baby Travel Systems’ section below and watch the video to make sure you are on top of it. Simply defined a Travel System is a pushchair where you attach either a car seat or carrycot. Thus, add together your carrycot or car seat and stroller then you have your baby travel system. There are two options when choosing. Either you buy a predesigned travel system from one brand, which then will include the stroller, carrycot and car seat. 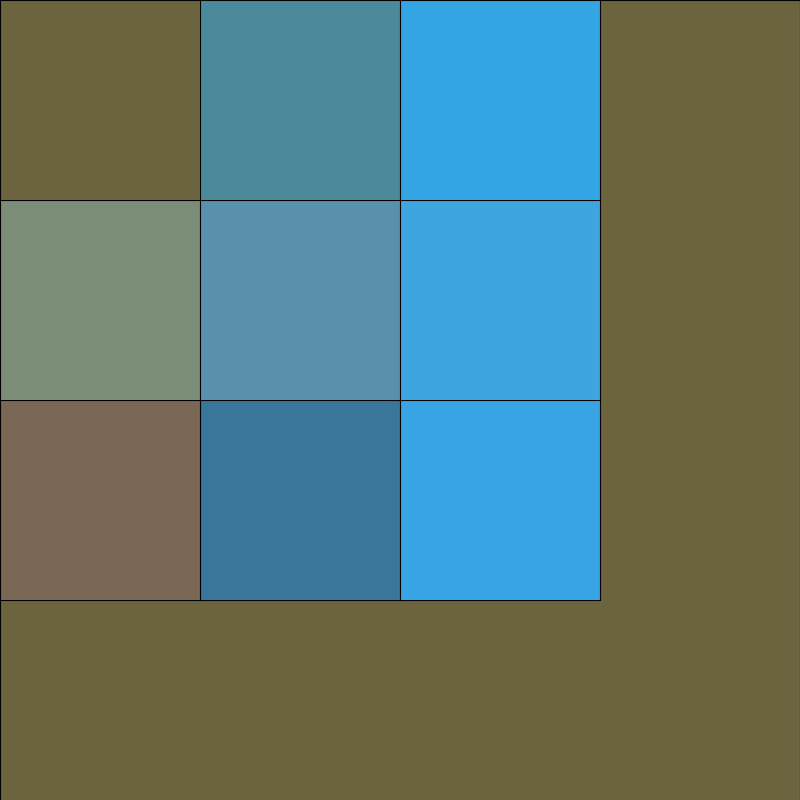 The other option is to buy individual items and make your own system. Remember that in both options your unique preferences and lifestyle should be taken into consideration. A travel system is a stroller with a detachable infant car seat and carrycot. Some are used with the car seat placed directly onto the stroller while others need to have the car seat unit removed. You can buy both a car seat and carrycot together with a pushchair; it is your choice! Determine your family’s needs and lifestyle before you choose a travel system. Don’t be left behind. Get up-to-the-minute info on which travel systems work; the pros and cons; and what to expect from specific brands. A good choice depends on how much homework you do beforehand. Let the reviews guide and assist you in making an informed decision. On what exactly do the reviews focus? They concentrate on the key features such as the travel gears’ safety, durability, cost effectiveness, extra features and quality in general. Up to date reviews on the state-of-the-art travel systems for babies can be expected. I am going to confess! Taking the step of having your first baby is enormous, even scary at some point. I would not want to stress about additional aspects that might influence the precious moments before having my little one arriving. Minor things like how to choose the right travel system or stroller shouldn’t negatively affect the journey before having your baby. Enabling you to understand difficult terminology and making informed decisions -without the stress- our reviews and ‘How To’ guide is there to assist! That’s a wrap! Upon what can you reflect? Keep in mind what your family’s lifestyle and needs are before you decide on a particular travel system. Knowing what you require can save you valuable time and money. Info on what type of baby equipment there is to choose from: carrycots, car seats and strollers. A basic explanation of each will provide you with a clearer picture of what you as a parent might want. What a travel system consists of and how to choose the right travel system for your little one. Everything and more on what your fellow parents say and think about the varies options when it comes to infant travel systems. The final step is in your hands. Don’t be outdated. Be an informed and up-to-date parent by reading our reviews before deciding what baby gear is perfect for your infant. Avoid being a Mr and Mrs Whitt! Take the wheel and be wise when you make your choice. Why not have a look at all Baby Travel System Reviews or Convertible Car Seat Reviews ? You’ll find Graco travel systems and many other options. Why not view our article on Top 5 Best Baby Stroller Travel System 2019 – Stroller and Car Seat Combo, 8 Need to Know Baby Travel Secrets, 4 Quick Steps To Choosing The Perfect Baby Travel System. Be Smart, How To Choose the Right Travel System for Your Baby or 7 Tips on How to Choose a Baby Stroller.